We’re continuing our collection of wooden ceiling décor started in the previous post. 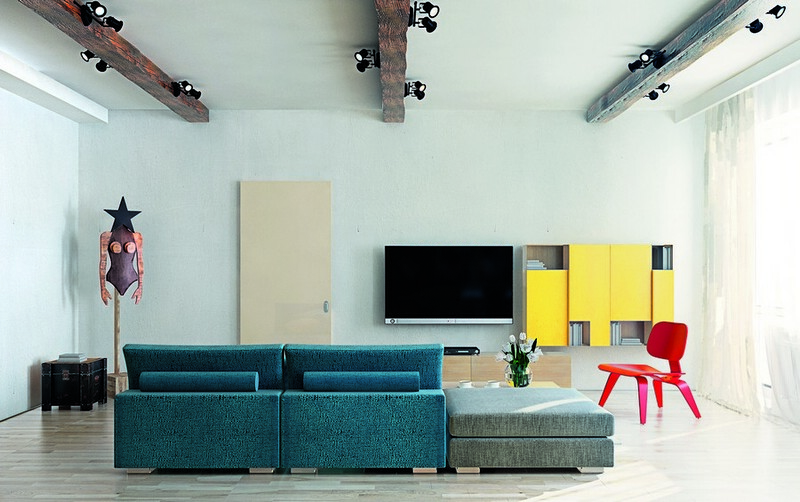 Just have a look at how diverse, decorative and functional this interior solution might be! 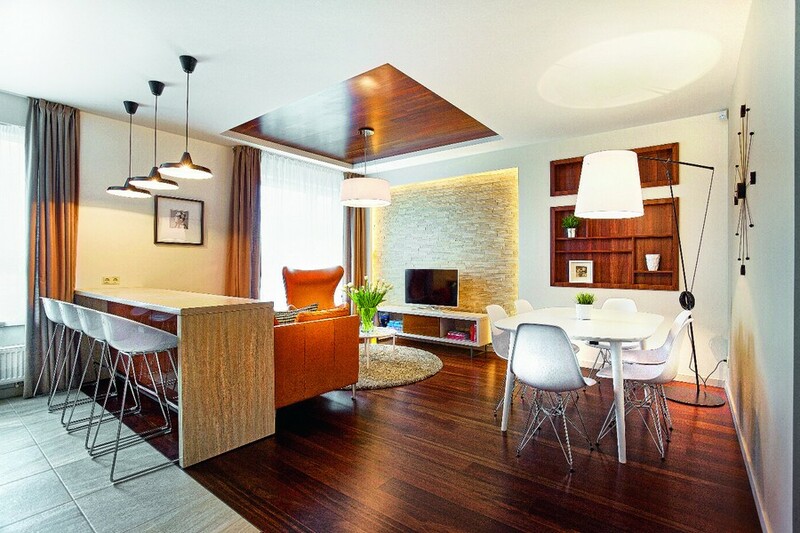 Here is one more sample of competent space zoning: a ceiling recess decorated with veneer panels visually separates a lounge zone from an open-concept kitchen and dining area. 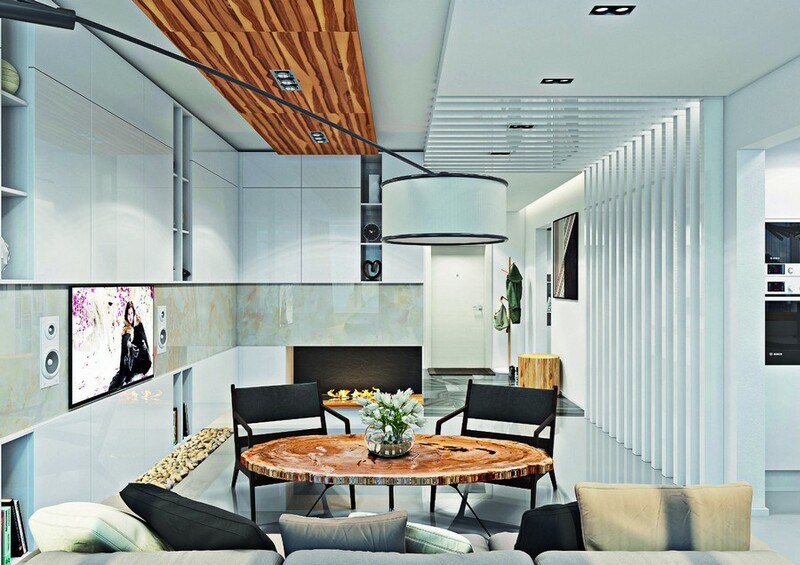 In this minimalist-style interior with functionalism motifs clear wood grain on the ceiling plays the role of spectacular contrast to glossy self-leveling flooring and white walls. 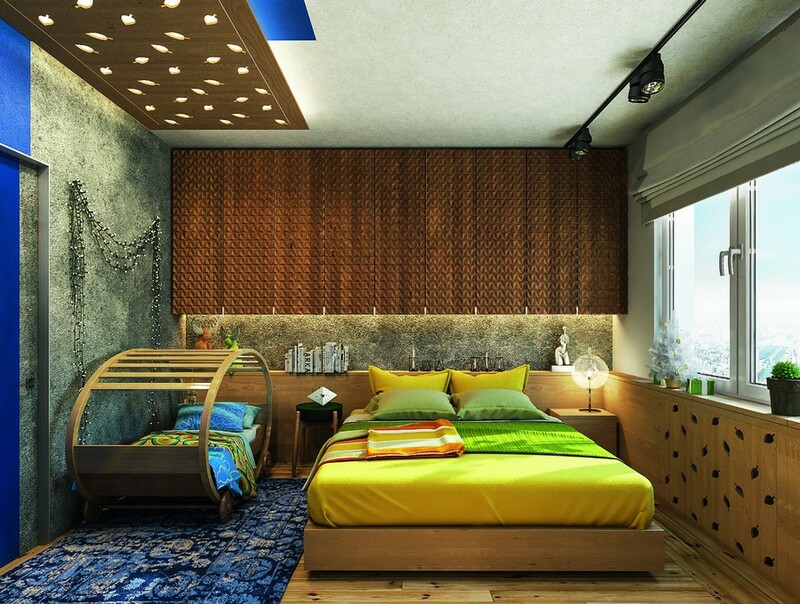 This is a wonderful example of a bedroom shared by parents and their kid. The baby’s part of the room is accentuated by a custom-made veneer ceiling lamp with small leaf-shaped slits, which are matched by a same-style radiator cover. A set of wooden planks on the bedroom ceiling adds the sense of dynamics to the interior and accentuates the sleeping area. 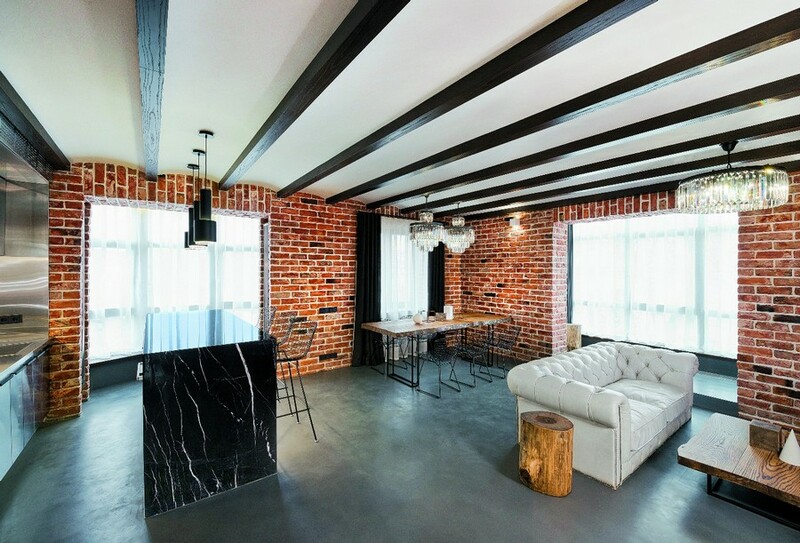 By the way, you may find more details about this apartment in our previous post. 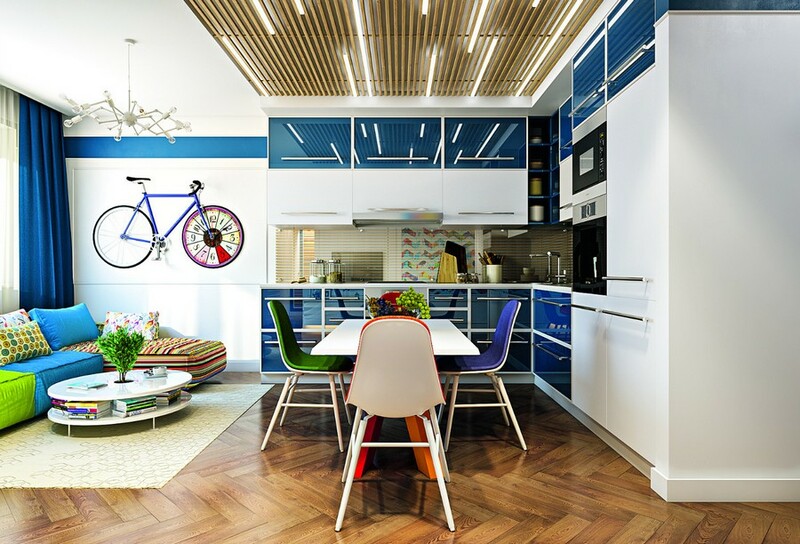 Wooden planks on the ceiling coupled with linear LED lights that reflect in the glossy kitchen cabinet doors add this room the sense of depth and dynamics. 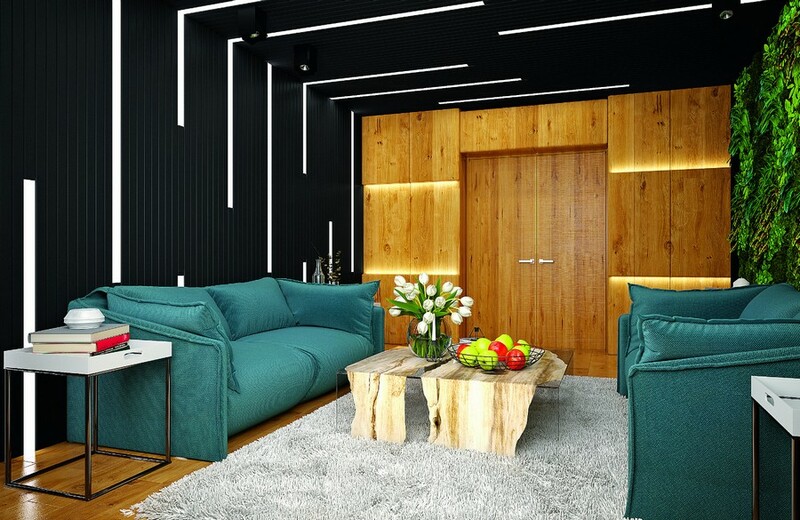 This living room features a wall and ceiling finished with decorative black panels. This quite large-scale dark surface is spectacularly refreshed by linear LED lights arranged in a rhythmic well-thought-out pattern. 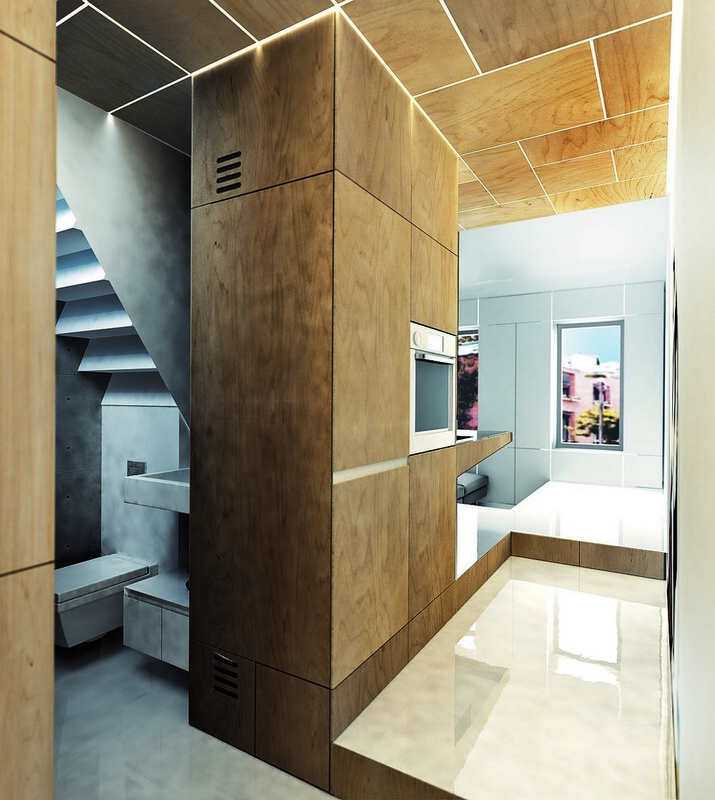 And here is one more example of an interior featuring wooden planks coupled with linear LED lights. This time it’s an entrance hall. 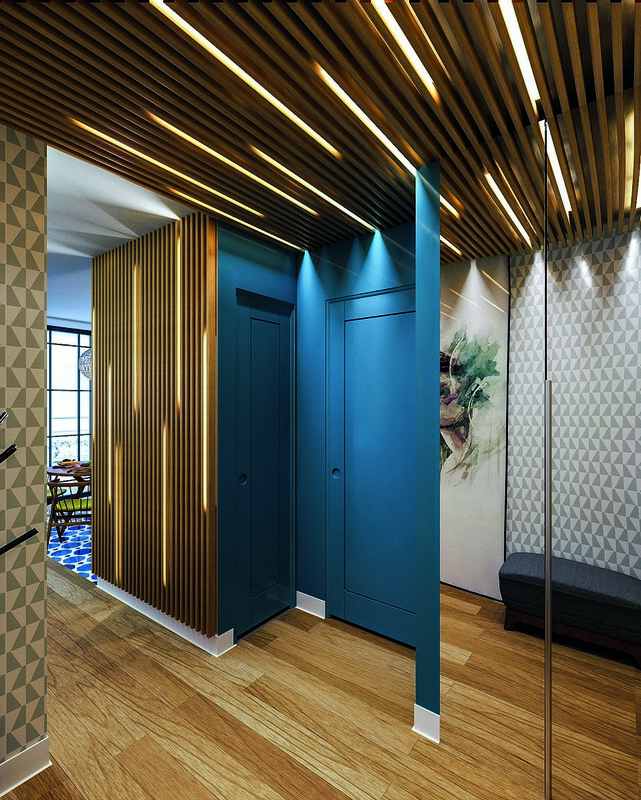 Thanks to this designer trick accompanied by a mirrored built-in closet, this tight space appears to be visually twice as big. Here is a pretty original interior solution: the ceiling in the kitchen, entry and bathroom is finished with waterproof veneer panels. Built into the seams between them are RGB LED-lights, which allow for regulating both the temperature and brightness of illumination. This makes the ceiling look like a giant puzzle caught in a backlit cobweb. In this example faux ceiling beams visually equalize the ceiling height in the studio space and play the role of the framework for mounting the track lights. 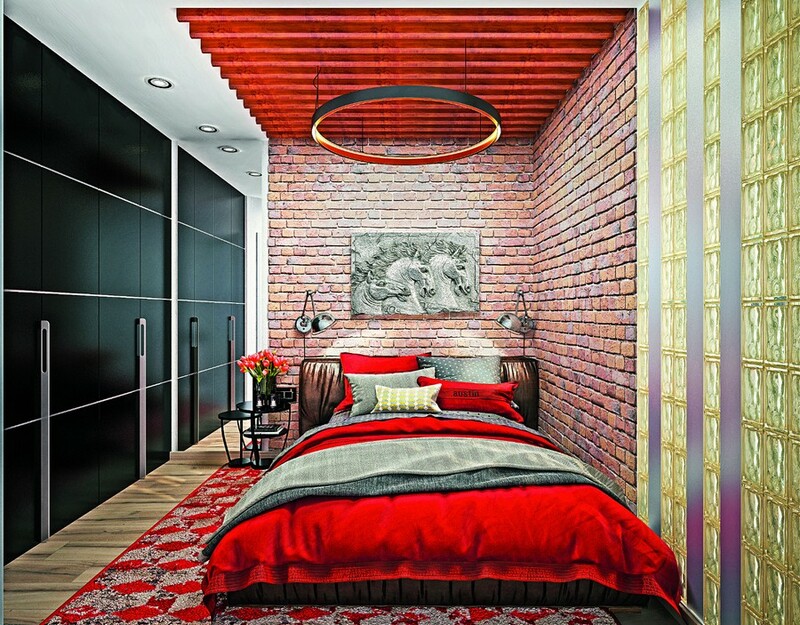 This studio apartment had an absolutely uneven ceiling, which inspired the designer to create ceiling décor from plasterboards and wooden beams imitating an arched ceiling. And all the electric wires are hidden inside the beams.